Practicing Faith As Athletic Endeavor Builds Endurance--- As the nation gears up for the Super Bowl, in a world where sports reign supreme,a spirituality book enlightens readers of the Bible’s comparison of the Christian life to that of an athlete. 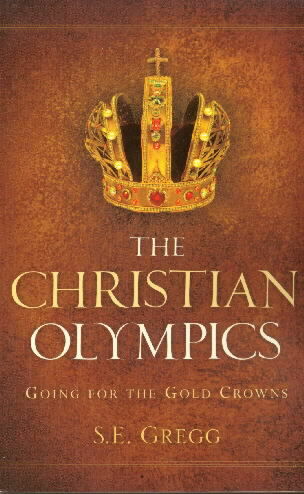 Jan. 31, 2009 - PRLog -- In The Christian Olympics: Going for the Gold Crowns (paperback, $12.99,1-5978-1530-6; hardcover, $20.99,1-5978-1531-4), author S. E. Gregg reveals that Christians are athletes too, spiritual athletes in a spiritual athletic competition. Athletes are considered heroes by their fans, but no one sees them behind the scene to see exactly what it takes to be an athlete. And what helps them to perform so well with their skills. Athletes live a lifestyle of discipline, vigorous training and daily physical exercises. They make many sacrifices, are placed on strict diets, and go through grueling routines of exercises for hours. While eliminating anything that interferes distracts or becomes a hindrance to completing their goals. .What God revealed in the Bible is an illumination on Christian living that gives Christians a new understanding and exhilaration when they live and see themselves as spiritual athletes. Which means that spiritual athletes also train, but with spiritual training, practice discipline, but with spiritual discipline. Spiritual athletes “... lay aside every weight, and the sin ....” Heb 12:1 (KJV) and do spiritual exercises. When the Christian life is pursued with the vigor of a spiritual athlete it helps them to endure problems and suffering. And is the perfect metaphor for the endurance, longevity, and persistence needed to practice the Christian faith especially during the present crisis that plagues our world. A Bible school graduate, gifted Bible teacher, and Bible curriculum writer, S.E. Gregg is the author of the best-selling book Evangelism Counseling and the salvation tract “God Became a Man.” The Christian Olympics sprang from a newspaper article Gregg wrote titled “The Christian Olympics are still going on!” Gregg lives in the Philadelphia area. Retailers may order The Christian Olympics through Ingram Book Company and/or Spring Arbor Distributors.